Former President Olusegun Obasanjo has officially denounced his Christian name, Matthew, and has also sounded a loud warning to Nigerians never to address him by the name or risk seeing the bad side of him. According to him, he took the decision to denounce the name because Matthew in the Bible was a ‘stupid’ tax collector. The former president made the statement on Friday at an event organised by the Nigerian Society of Engineers (NSE) in commemoration of his 80th birthday celebration in Abuja. 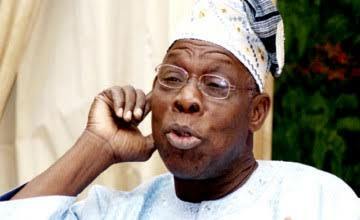 Obasanjo explained that he adopted only Olusegun Okikiola Aremu as his names because they have lots of connotations in the African setting. When I was born in my part of Nigeria, the system was that after eight days, you must be given a name and for people to know that you were born into a Christian family, you will be given one Hebrew name. My mother and father decided to name me Matthew but when I grew up, I started asking myself the meaning of Matthew. Not only does it not have meaning as long as I am concerned, the biblical Matthew is a stupid tax collector. Anybody who does not want to see my eyes red should stop calling me Matthew?